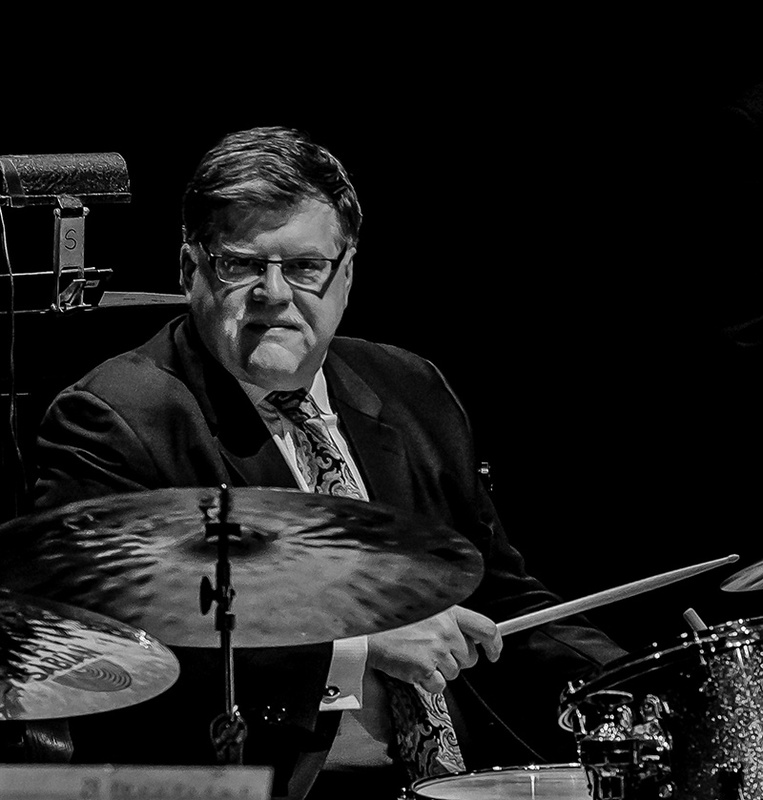 Leading the Jazz Arts Group (JAG), one of America’s leading non-for-profit jazz organizations, as Executive Director from 2001-2012, Breithaupt has also served as the drummer of JAG’s Columbus Jazz Orchestra since 1980. As a consultant and spokesperson, he promotes the organizational structure and mission of JAG as a model to be replicated by other communities. Bob Breithaupt enjoys one of America’s most diverse musical careers. In over 30 years of concerts and tours, Breithaupt has performed in diverse solo, group, and orchestral settings and has appeared with a virtual “Who’s Who” of great jazz talents such as Terry Gibbs, John Pizzarelli, Kirk Whalum, and dozens of other notable artists. He regularly performs with many of the nation’s finest orchestras along with trumpet virtuoso Byron Stripling and Broadway star Sandy Duncan. Breithaupt is considered one of the nation’s leaders in percussion education. He is Professor of Music and Department Chair of Performance Studies at Capital University in Columbus, Ohio. Since 1978, Breithaupt has developed one of the most recognized undergraduate percussion programs in the United States, producing students that are successful in performing, teaching and the music industry. He is the co-founder of the Summer Drum Set Workshops, the author of the textbook The Complete Percussionist, the DVD entitled Snare Drum Basics, presents clinics and seminars worldwide and is a past-president of the Percussive Arts Society. The recipient of numerous honors and awards, Breithaupt received Bowling Green State University’s Outstanding Graduate Award, was a fellow in the Jefferson Academy for Leadership and Governance, participated in the prestigious Executive Program for Nonprofit Leaders in the Arts, a joint program of National Arts Strategies and the Stanford Graduate School of Business, and was the founding chair of the Columbus Cultural Leadership Consortium.